We are now operating the first of overall six new STS cranes manufactured by Liebherr! A big event for the entire NTB crew and a clear signal to our customers – NTB has again 18 own STS cranes and is prepared for the coming next vessel sizes. The STS cranes have an operational outreach of 73 meters; in total the boom has a length of 82.80 meters. The lifting height is 51.2 meters. 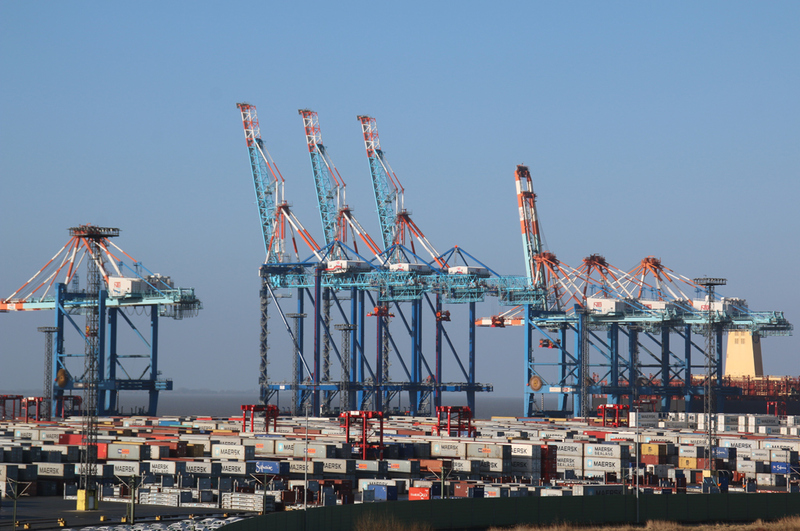 The new cranes will be able to efficiently handle ultra large container vessels (ULCV) with more than 18,000 TEU and loaded up to the ninth and tenth tier as well as over 25 container rows wide on deck. Since August 2017 the STS cranes have been erected on the NTB-yard in the hinterland area. At the beginning of February 2018, the first 3 STS cranes were moved to the quay and immediately started to build 3 more in the same area. At the end of April 2018, the next 2 cranes will be transferred to the quayside. The sixth new STS crane will follow in the second half of the year. The dismantling of three of the older STS cranes has started at the end of May. After commissioning of the Liebherr CB, there will be another 12 Post-Panmax CBs that can handle the most modern ships in the world with an outreach of up to 23 rows. With a modern fleet of diesel-electric 4-high straddle carriers of the latest generation, we offer highly productive handling and can react to any changes with high flexibility. With Navis N4 we use one of the most modern Terminal Operating Systems (TOS). The real-time view of containers and equipment enables efficient control and optimized processes.